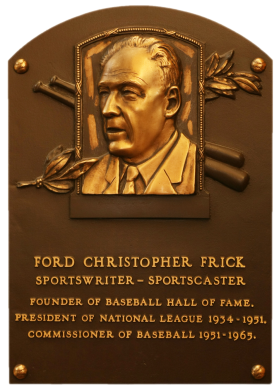 Comments: I chose the 1959 Topps for Frick's mugshot, when I purchased a PSA 6 card on eBay in October, 2003. I upgraded to a PSA 7 in April, 2005 with another eBay win. I sold it. Then, I won another PSA 7 in November, 2005. 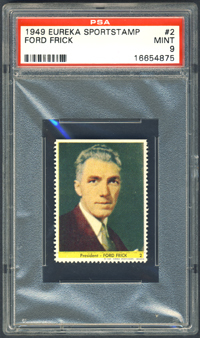 In July, 2008 I decided to go with another issue for Frick and picked the 1949 Eureka Stamps when I picked up a raw example on eBay. 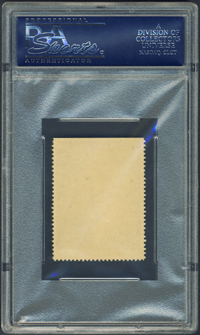 The card was submitted to PSA and graded VG-EX. I upgraded to a PSA 6 with an eBay win in October, 2008. 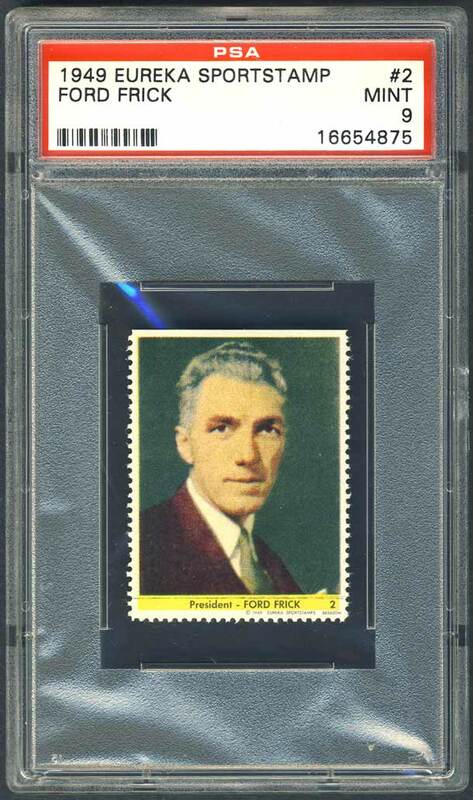 In June, 2010 I scored another upgrade, to a PSA 7, with another auction win. 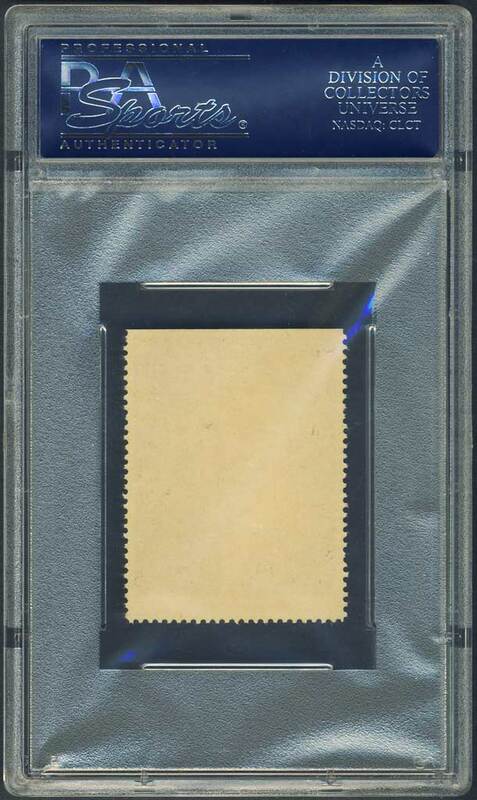 Just three weeks later I was shocked when this PSA 9 popped up on the bay from seller 4 Sharp Corners. I won the card for $57.28 delivered - boo yah!